On August 2nd Jon and I will be joining thousands of other cycling enthusiasts on the Prudential RideLondon. 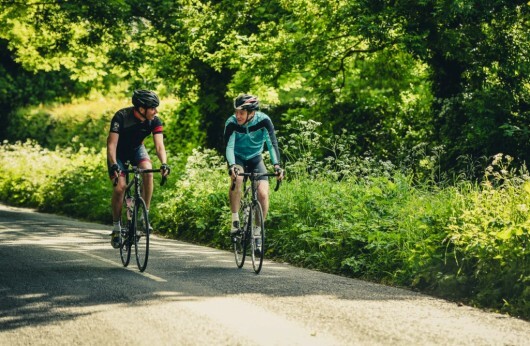 It’s a 100-mile route which takes us around the city on closed roads – it will be amazing to experience London by bike without fear of being hit by a black cab or a big red bus! Our efforts are all in aid of Act for Wildlife, a conservation campaign led by Chester Zoo. (Support us by clicking here). While I’ve been a keen cyclist, verging on obsessed, for a number of years, this is a recent calling for Jon. However, you’ll be pleased to know he’s built up fantastic fitness since buying a road bike plus a wonderful array of Lycra which all cyclists have to wear. Keep up-to-date with our training progress over on the Ultimate Facebook page. To support our fundraising, please click here!